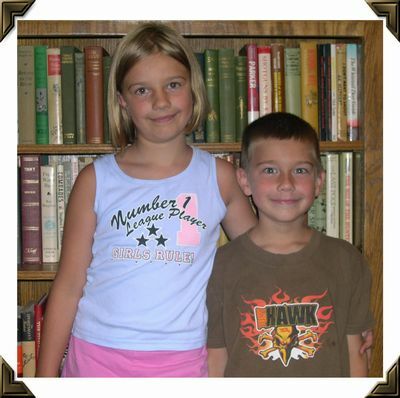 My grandchildren, Emma age 9 and Josh age 6, spent some time with us this summer and they had a great time at the tying bench. Each of them created and named their own fly. They did their Gramps proud! 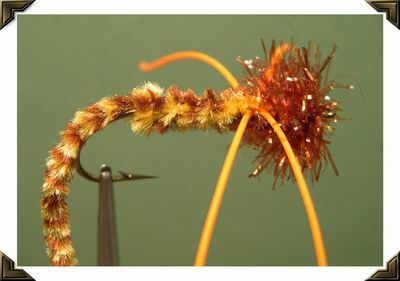 Here is Emma's fly that she calls "Grandaughter's ShineyHead Fly." 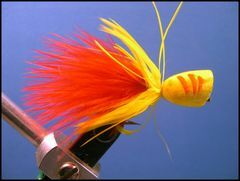 Here is Josh's fly that he calls the "Warmwater Yellow Head." A few days later their friend Michael Ray, also from New Jersey, joined them for a cookout at our place and Michael found his way to my tying bench to try his hand at fly tying. As his proud Mom and Dad looked on, Michael tied two flies. 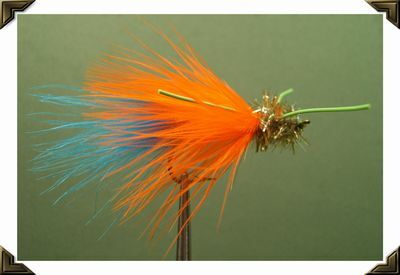 The first fly that he tied he calls the "Warmwater Blue Tail." 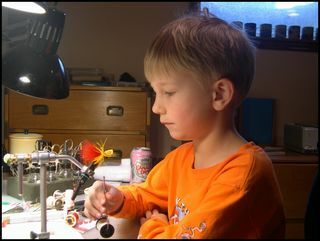 It's amazing how quickly youngsters learn basic fly tying skills. 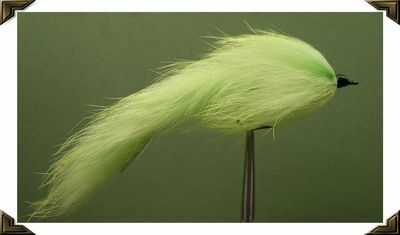 Michael called his second fly the "Green Tailed Bunny Strip Fly." It's also amazing what a young tyer can do with a hook, thread, and a rabbit fur strip. 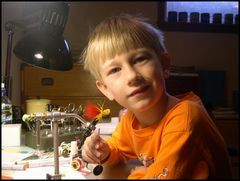 Jake Santora, Josh and Emma's baby brother is the newest member of "Team Bean" fly tying tyros. 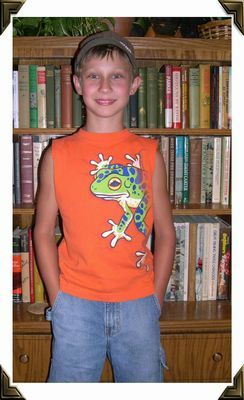 Jake is six years old, loves to fish, and is destined to become a great fly tyer. This photo shows Jake completing his "Black Tailed Popper." I pointed out to him that the tail was red, not black. He said that he didn't care what color the tail was, his creation was going to be called the Black Tailed Popper. So be it.